Goldfish are beautiful – but exceptionally hardy – so it’s no surprise that these fish are one of the most popular pets in the world. If you’re keeping one in a bowl, you probably want to know how to clean a Goldfish bowl properly. Unfortunately, the easiest way to keep your goldfish happy is to swap the bowl out for a larger fish tank. Although goldfish are often shown living in bowls in popular media, they simply can’t survive in this environment. 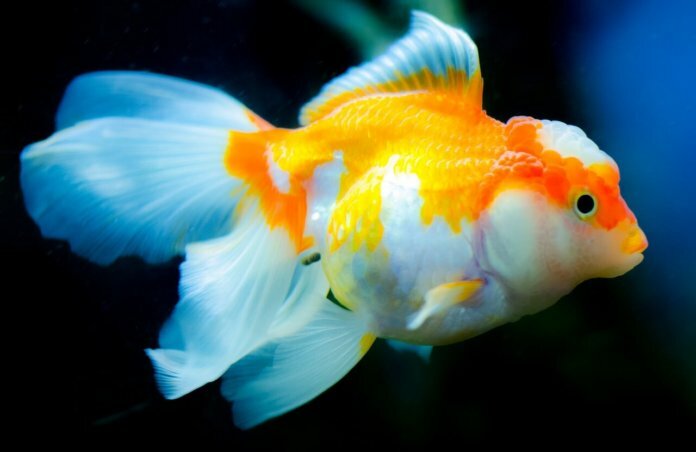 Goldfish can grow up to 10″ and are extremely messy – a single one can dirty up a fish bowl within hours. 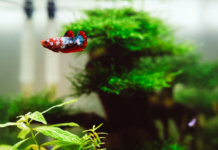 You’ll need to perform water changes every other day and be incredibly attentive to feeding if you plan to keep your goldfish in a bowl, and even with that, the fish likely won’t live very long. With that said, knowing how to clean a goldfish bowl is still a good thing to know if you’re in the process of setting up a large tank, or are just waiting to move your goldfish a new home. Fish bowls accumulate waste quickly because there aren’t any water movements in such an enclosed space. Due to their small size, it’s almost impossible to get a filter, and this all leads to polluted water in a small amount of time. The bowl itself should be cleaned once every few weeks – just wipe down the inner and outer glass with a cloth. 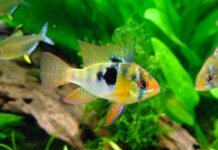 Perform a 50% water change every other day in order to get rid of waste and ammonia – which can build up dreadfully quickly in a bowl. When replacing the old water, never add chlorinated water into your bowl. Instead, let it sit overnight so that the chlorine evaporates before using it. If your bowl contains gravel, never use soap or chemicals to clean it. Instead, just empty it out of the bowl and rinse it with clean, unchlorinated water before adding it back in. We recommend doing this once a week because uneaten food falls to the bottom and gets trapped in the gravel. Gravel also collects fish excretions which pollute the water. It’s very important not to overfeed your Goldfish because this quickly makes the water uninhabitable. We recommend feeding your fish once a day; never add more food than your fish can consume in a minute. Before performing a water change, always have your new water ready. Fill a container with fresh water. If necessary, you can use water treatments which eliminate chlorine, chloramine and heavy metals from tap water. Letting the water stay overnight (covered with a lid) not only gets rid of chlorine, but also helps the water reach room temperature, which is very important for your Goldfish. Before emptying out your fish bowl, pour in half of the old water into the container. Make sure to use a net to safely transport your Goldfish into the container, because it’ll serve as a temporary home while you clean the bowl. Drain the rest of the fish bowl water. Use a cloth to wipe down the bowl’s inner and outer glass. After this step, rinse it under tap water and wipe it dry. Place the gravel/rocks into a sieve and rinse it under running water. Shake it around to ensure that any leftover pieces of food and waste are gone. If you’ve got decorations, you can soak them in a mixture of hydrogen peroxide and water to get rid of dirt and algae. Use just half a teaspoon, because such a tiny amount won’t harm your fish (hydrogen transforms into oxygen and hydrogen in a day). Place the gravel/rocks back into the bowl first, then the decorations. Fill the fish bowl with the new water. Use a net to return your fish back into the bowl. 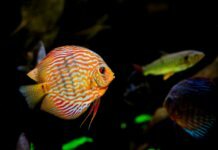 Previous articleUndergravel Filter VS Power Filter – Which Is Better For Your Aquarium?